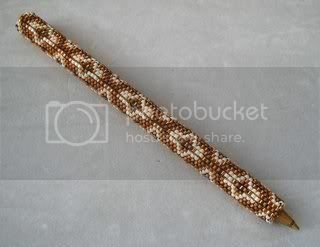 I've been working on some beadwork pieces, I thought I'd share them. 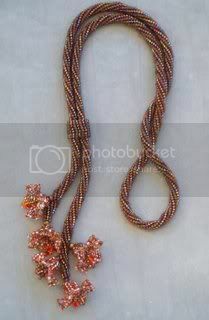 A herringbone lariat, a beaded knitted bag, and a peyote covered pen. I'm pleased with the way they came out. 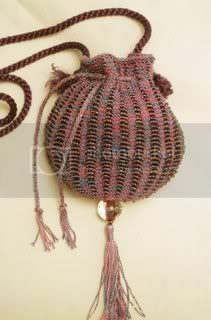 I just finished the bag tonight, with the Psyche tassel.